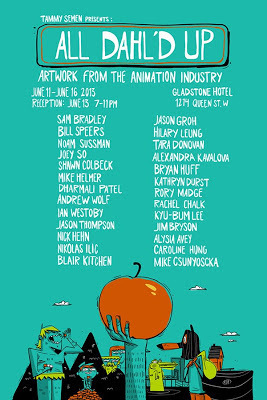 This week I'm super excited to have a piece up in the "All Dahl'd Up" show at Toronto's Gladstone Hotel. 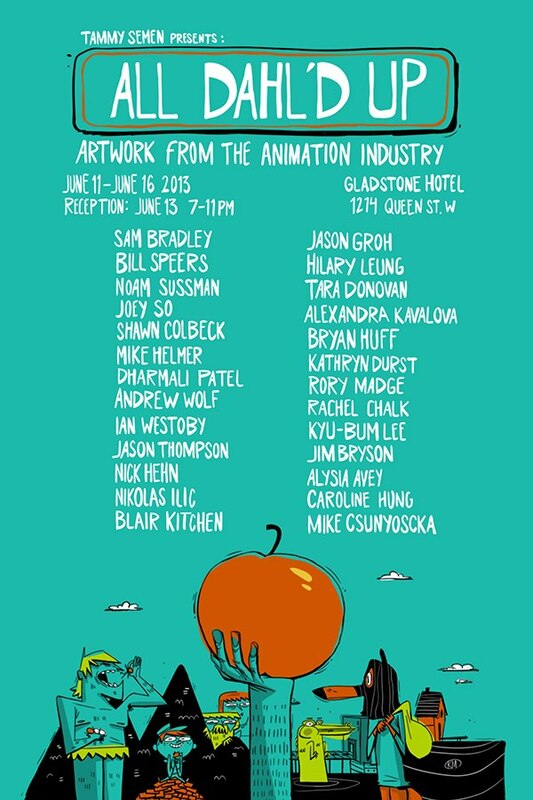 The artwork is all created by animation industry pros from around the city. This year's theme is Roald Dahl which should bring in many favorite stories from Charlie and the Chocolate Factory to my favorite kids book, James and the Giant Peach. Stay tuned - I'll post my artwork when the show comes down!